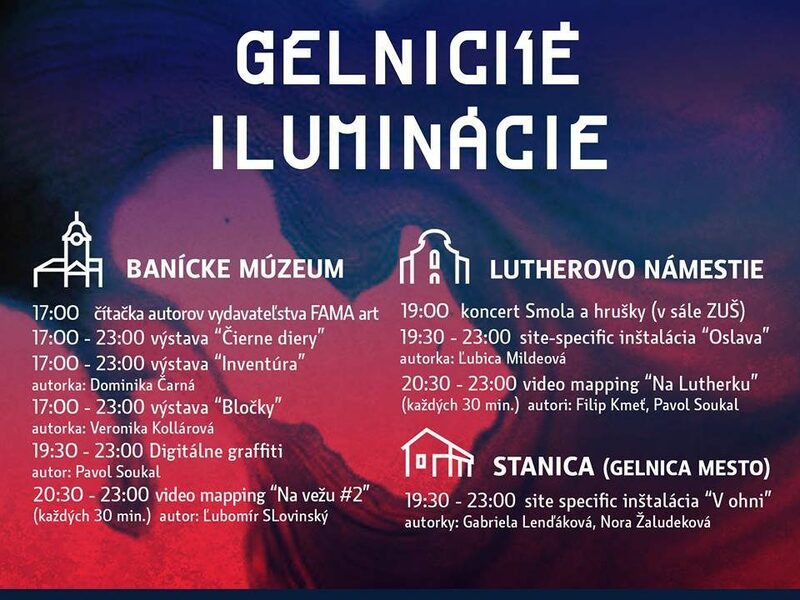 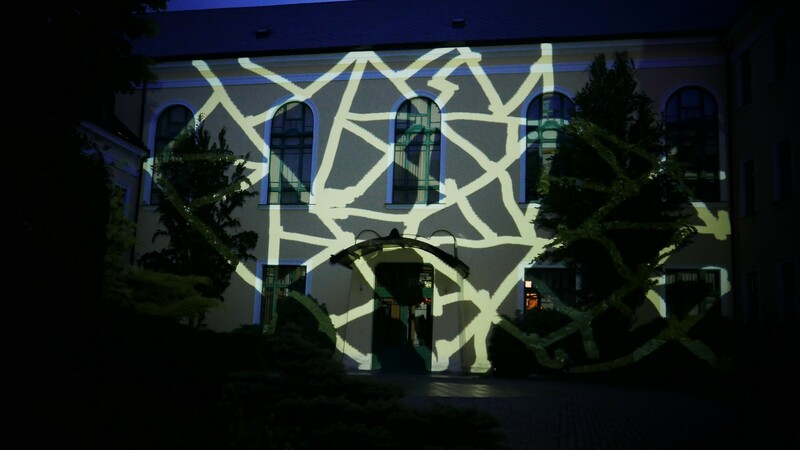 On May 20, 2017, the Night of the Museum and the Gallery were held throughout Slovakia. 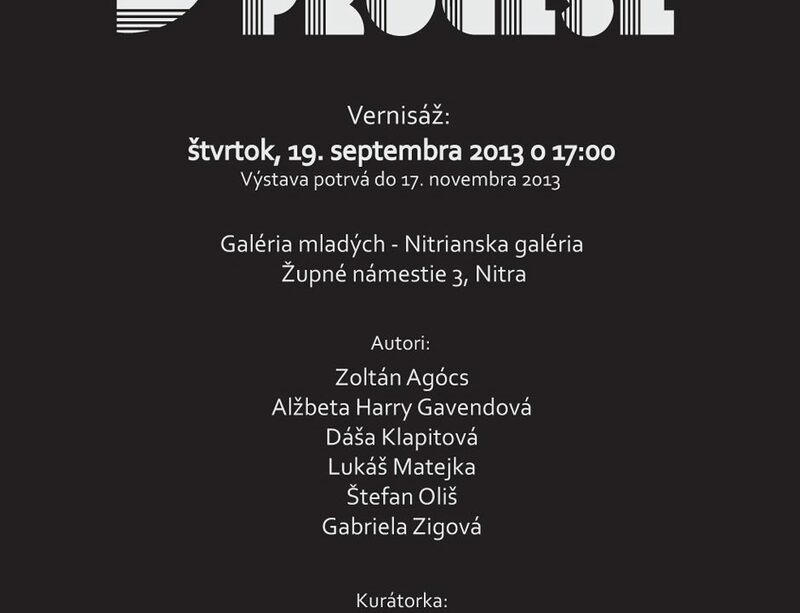 An exception was not Nitra. 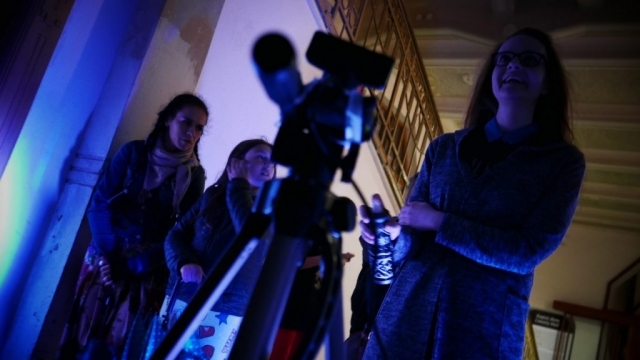 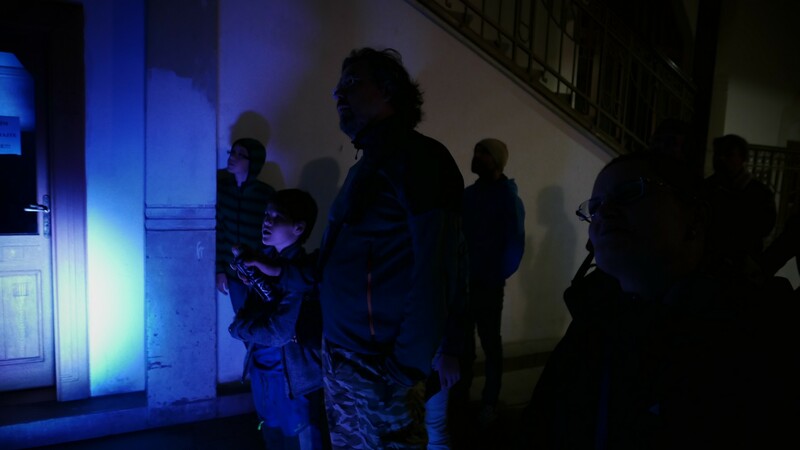 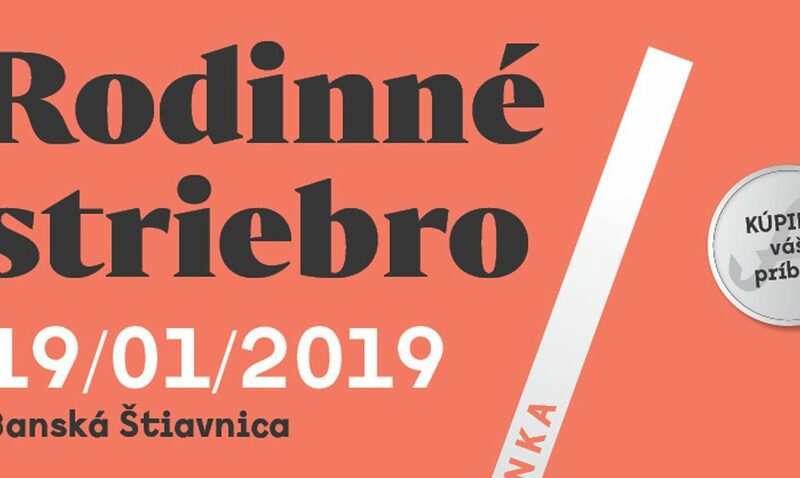 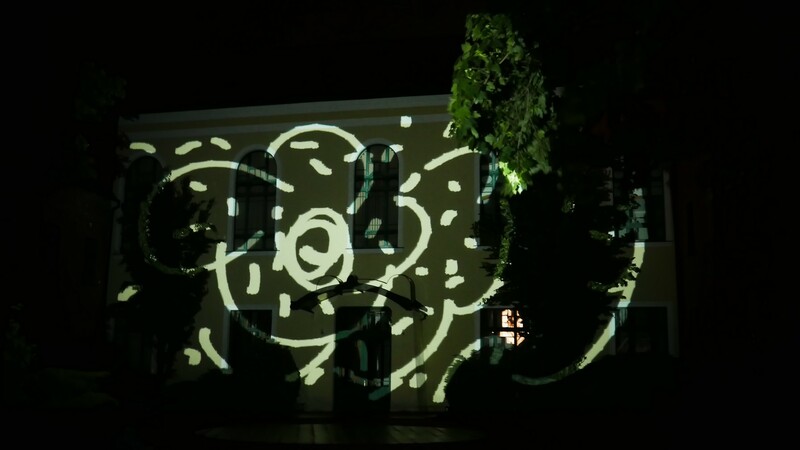 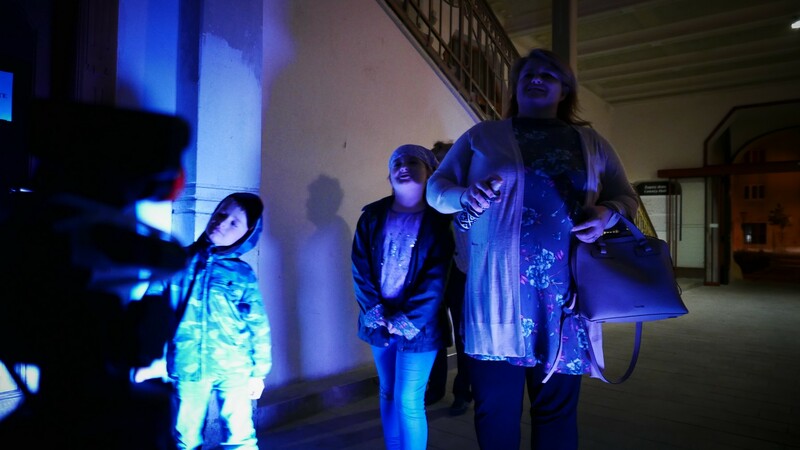 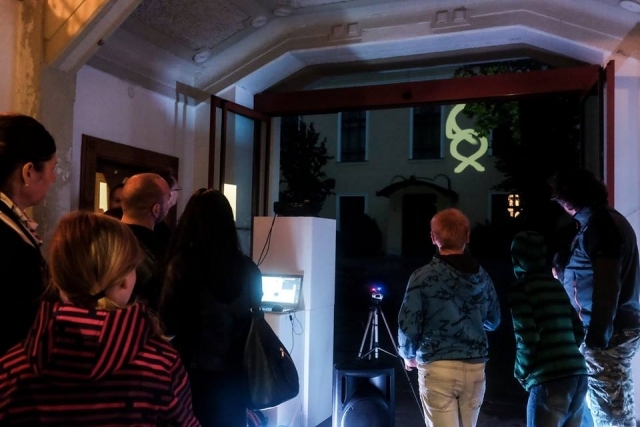 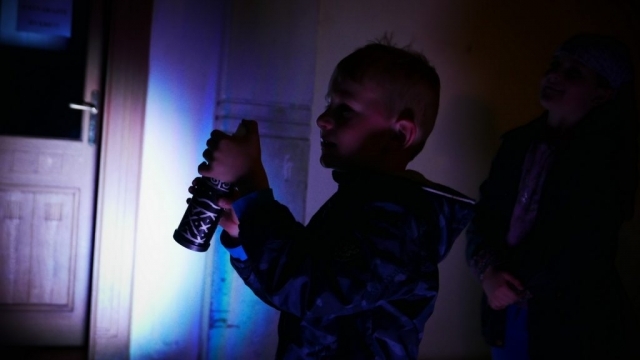 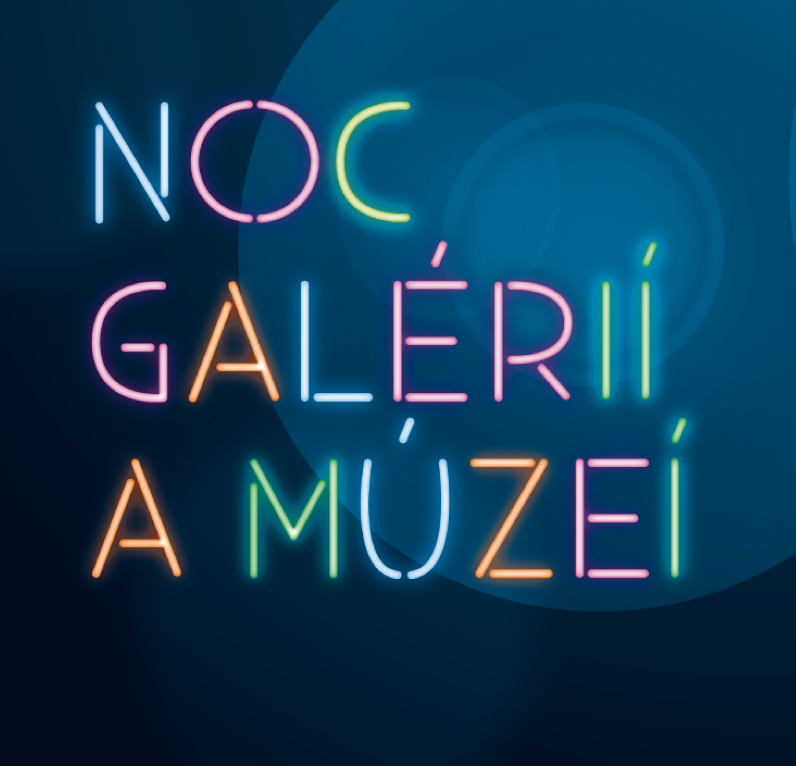 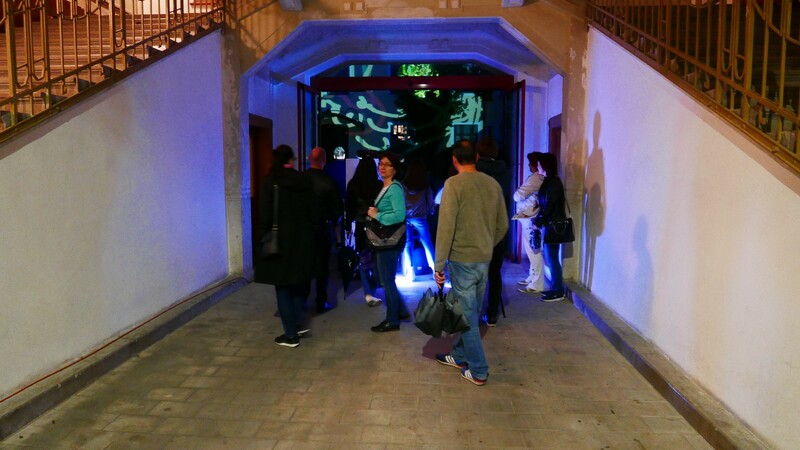 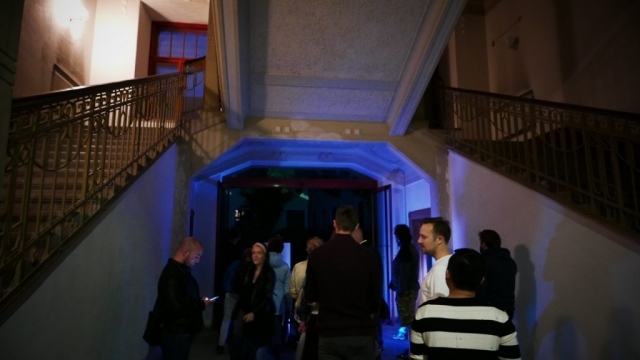 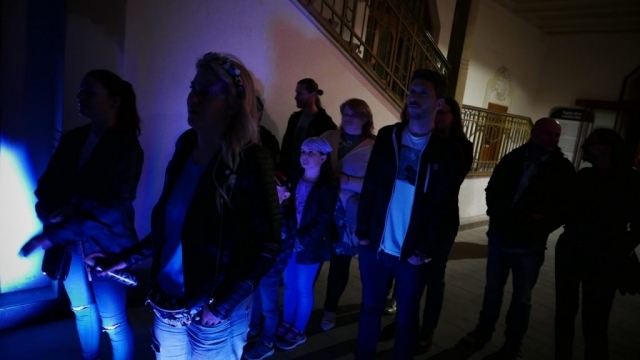 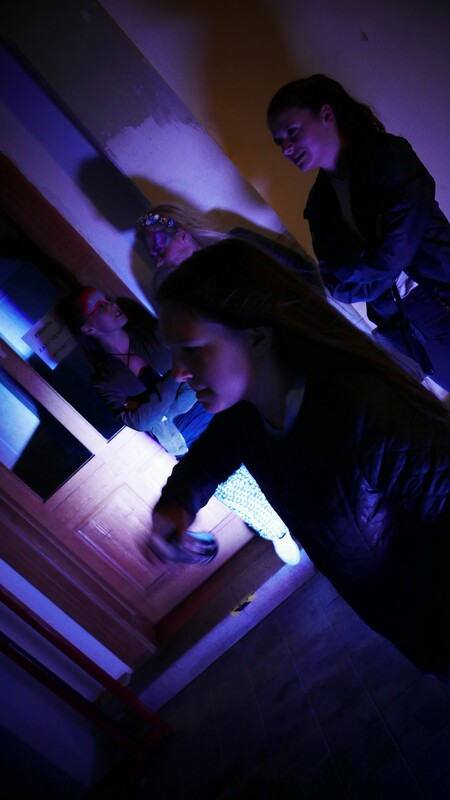 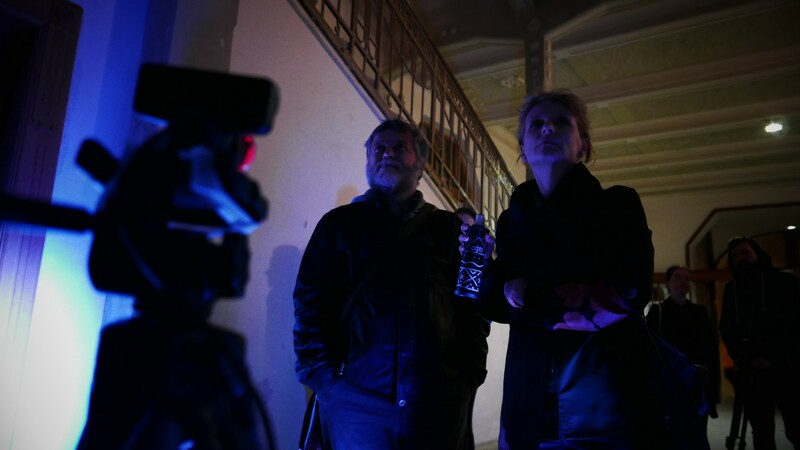 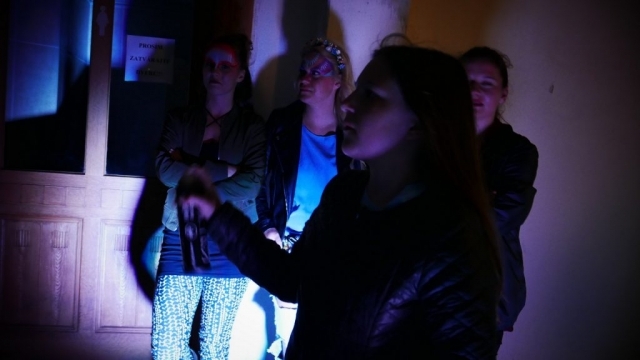 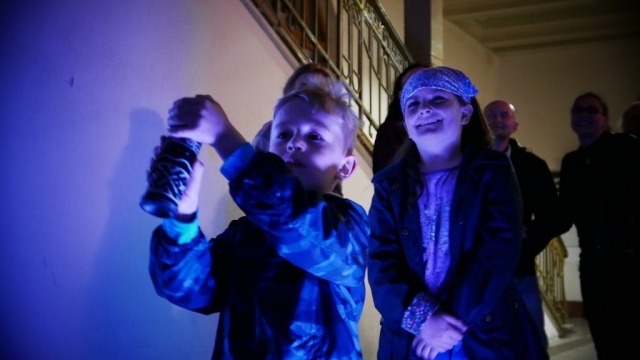 In the premises of the Nitra Gallery – Župný dom (Town House), audiences could enjoy several exhibitions until midnight. 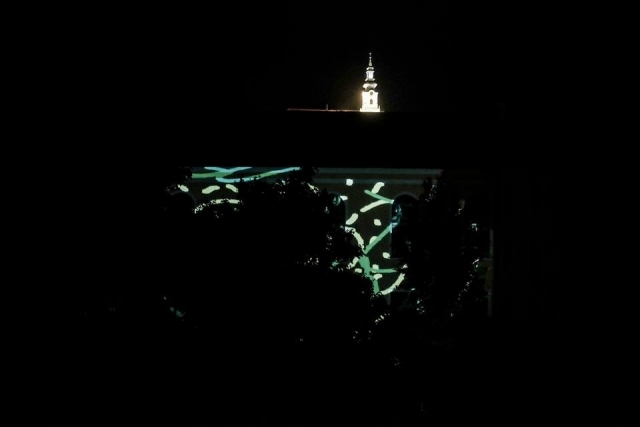 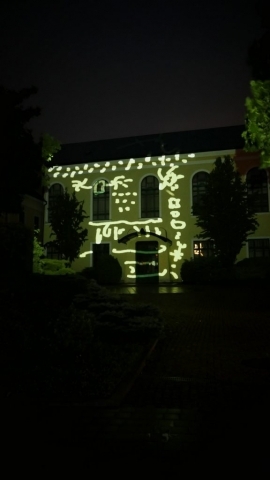 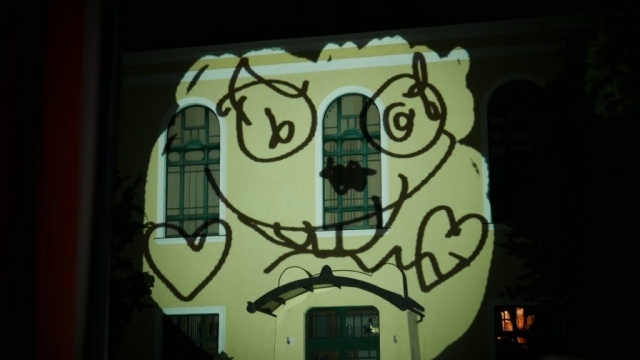 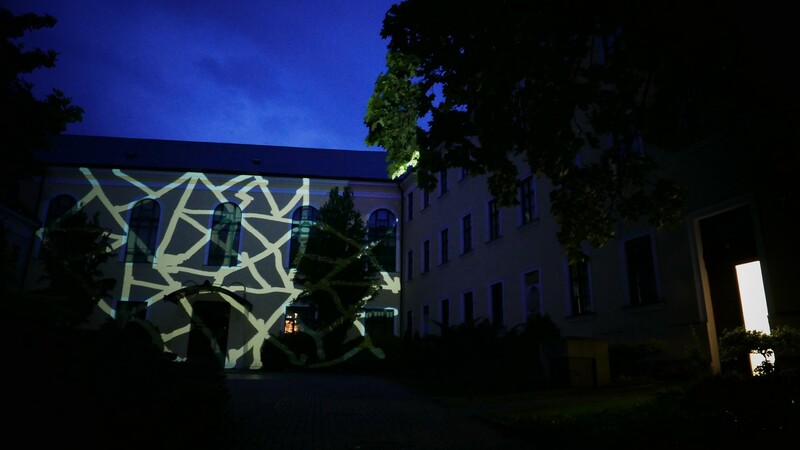 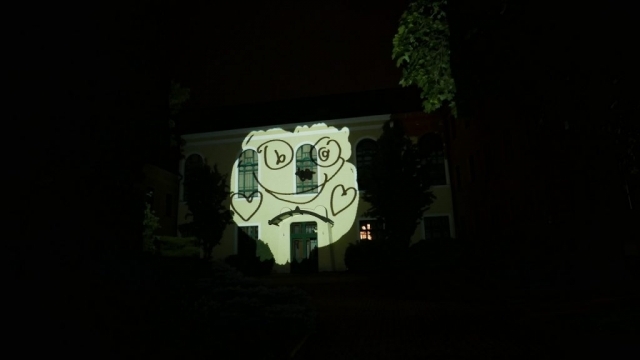 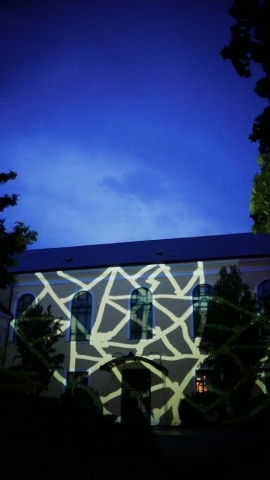 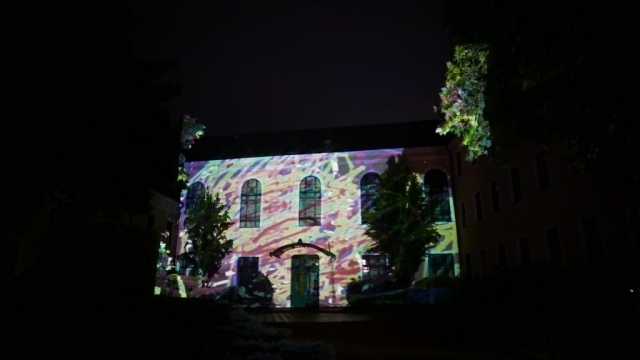 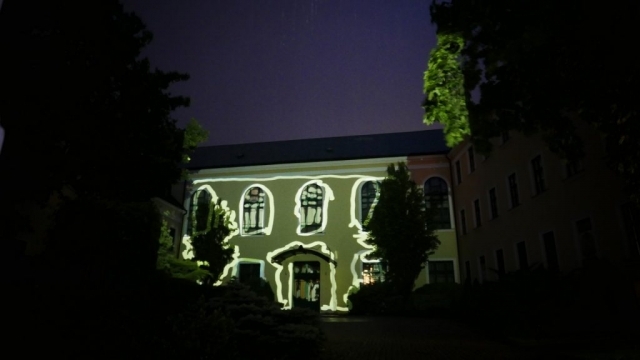 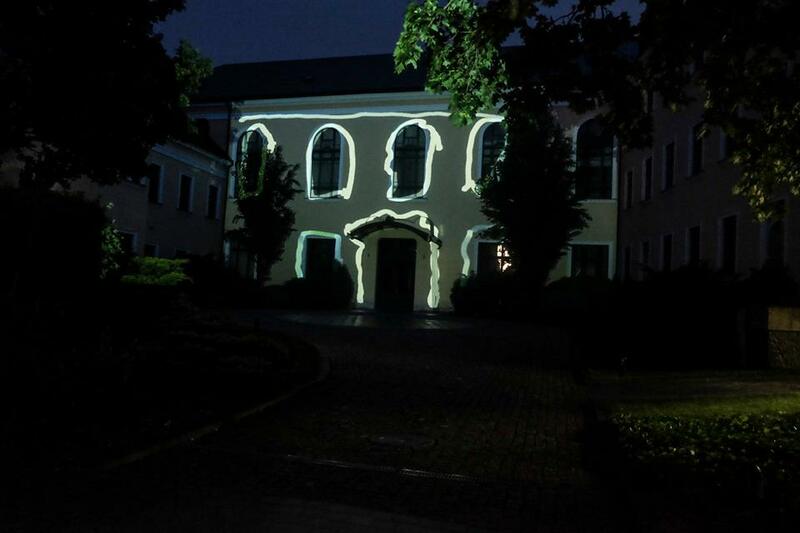 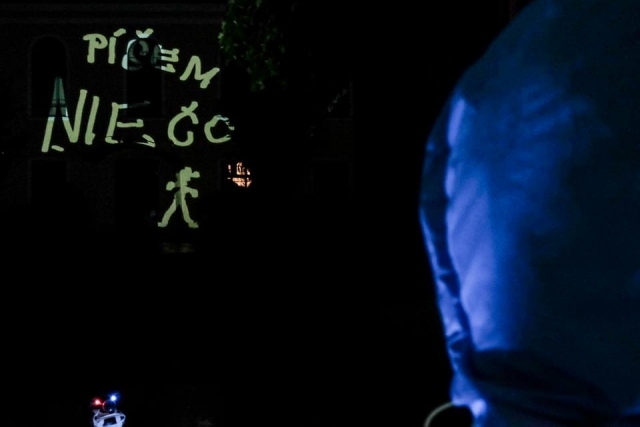 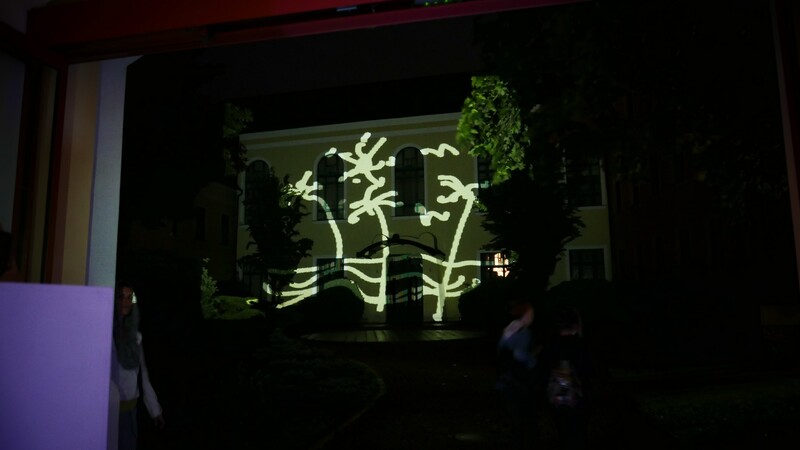 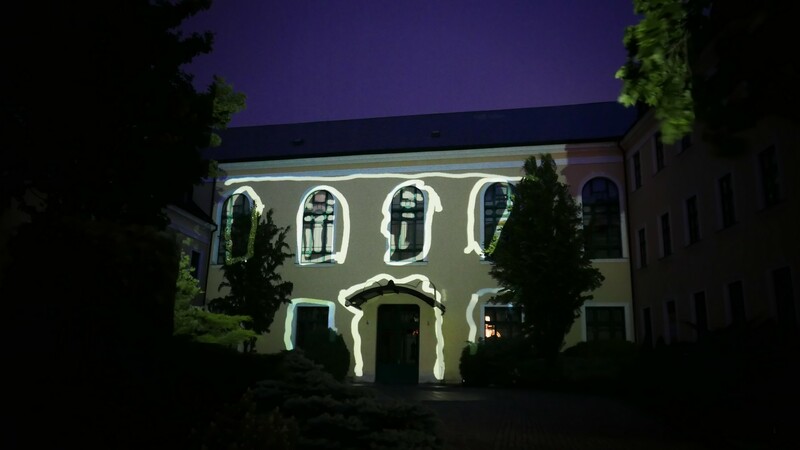 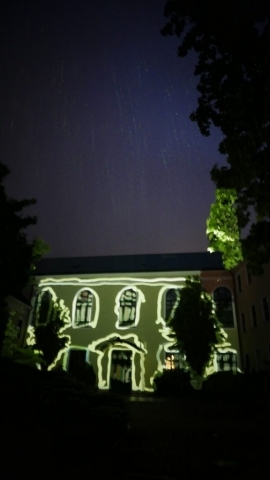 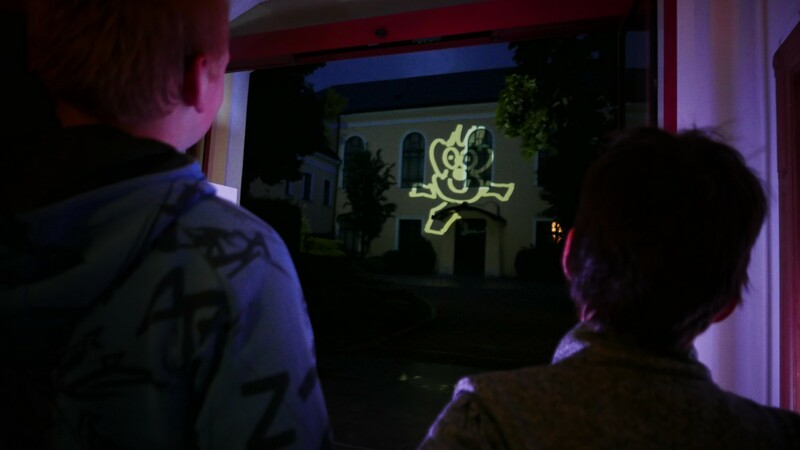 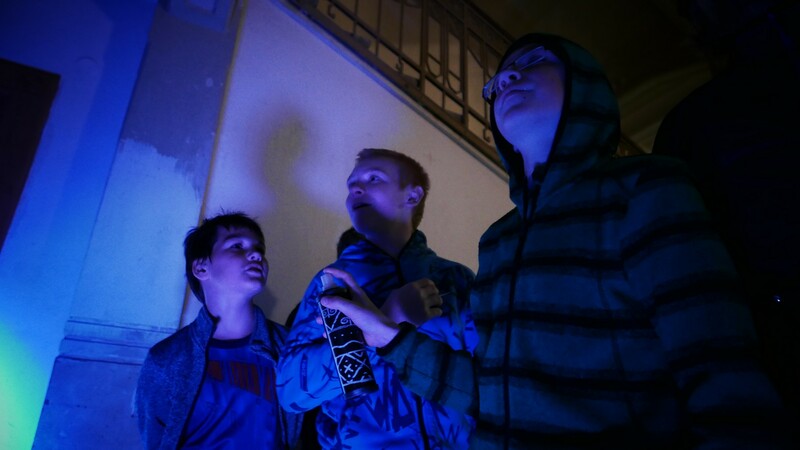 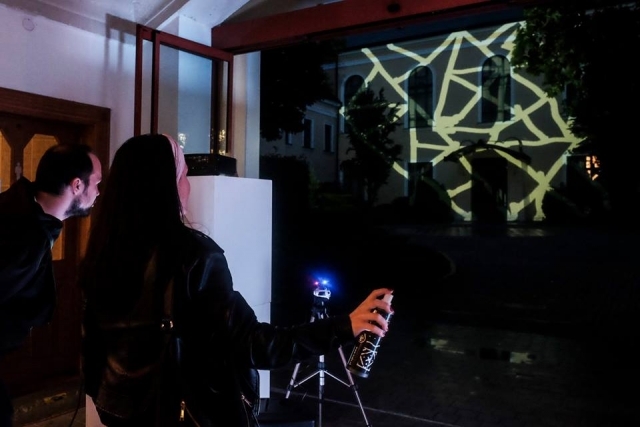 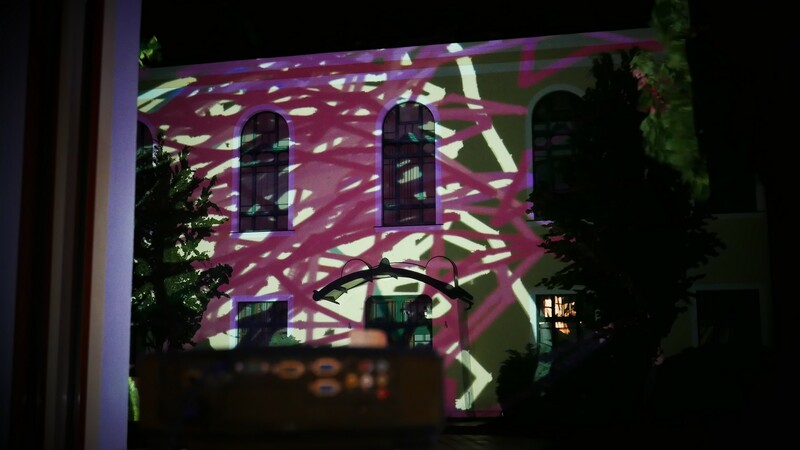 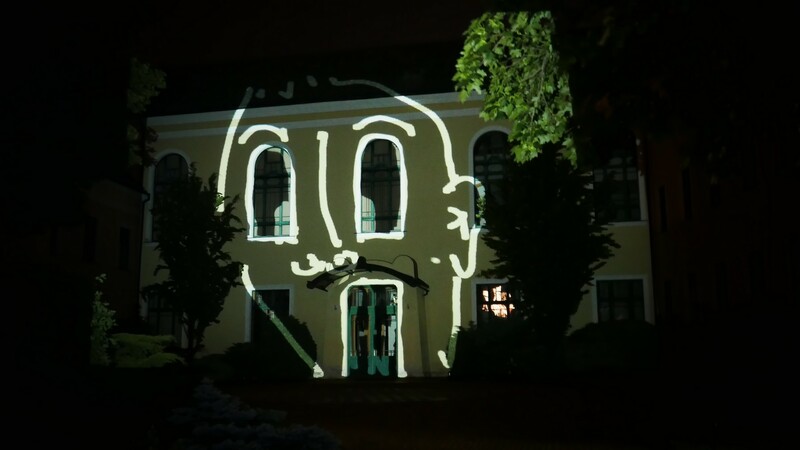 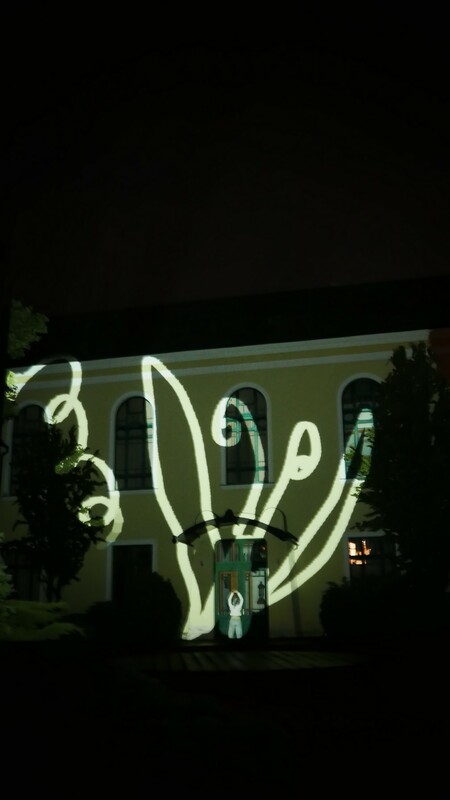 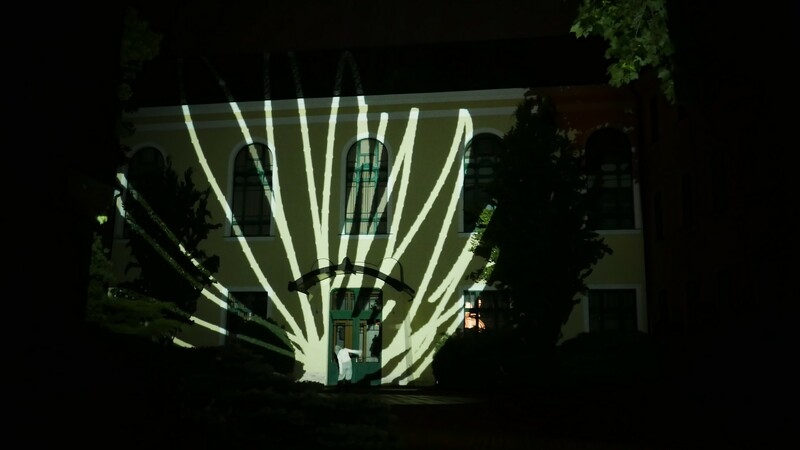 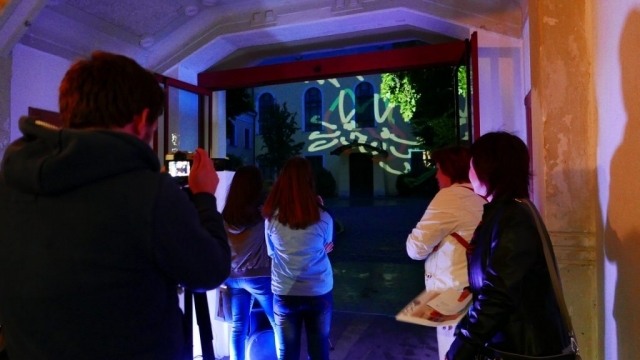 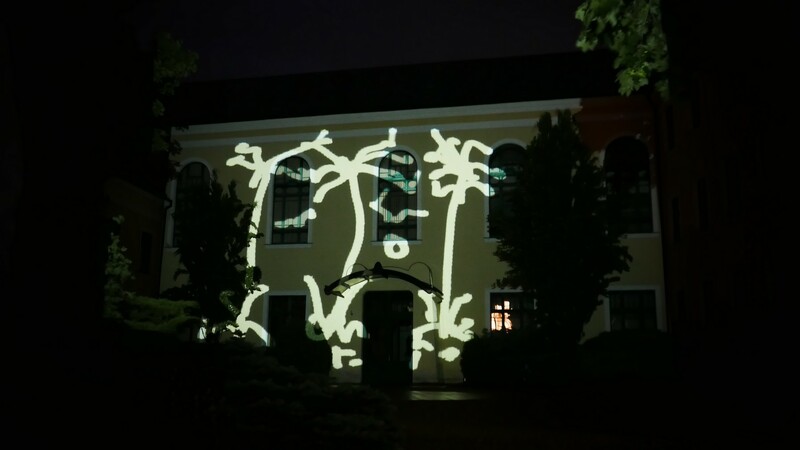 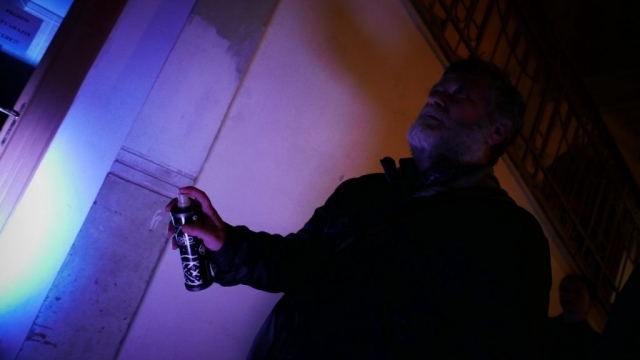 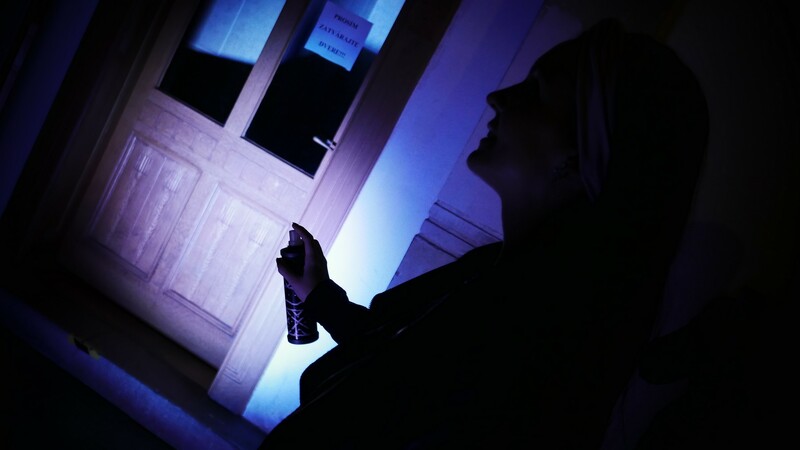 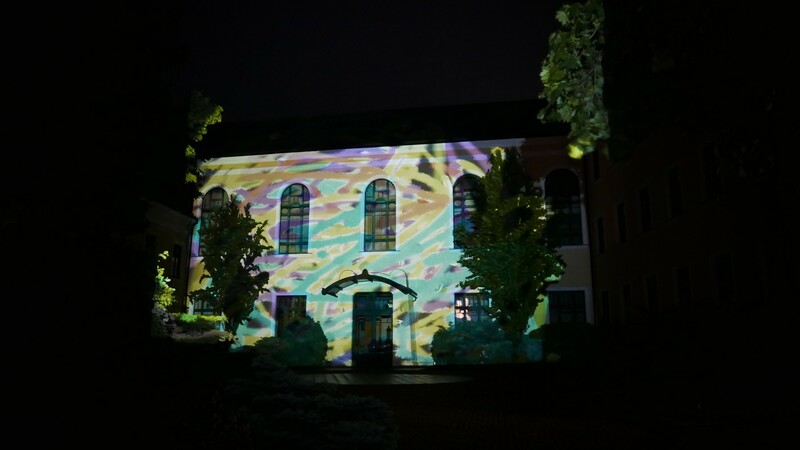 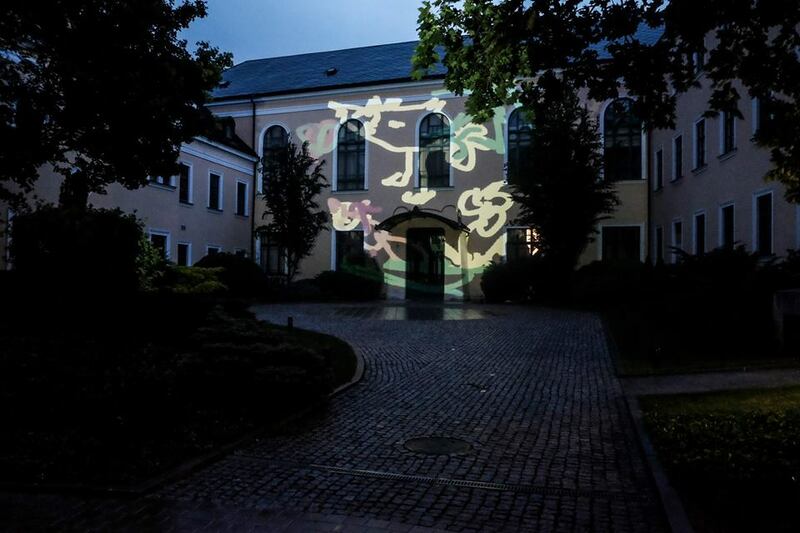 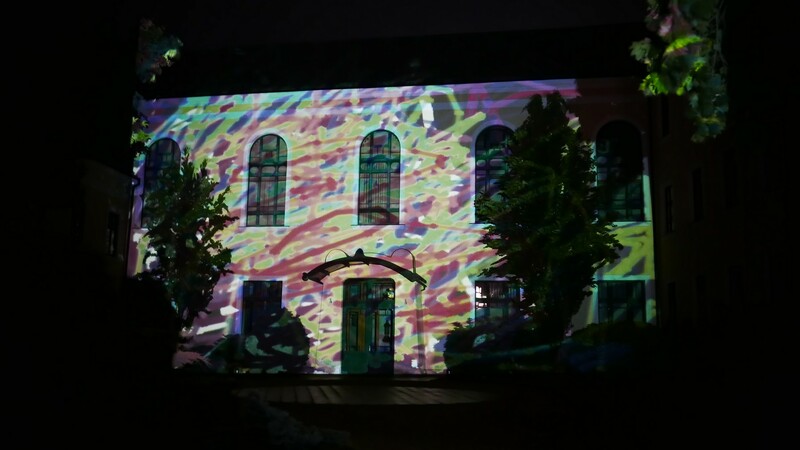 After digging from 21.00 to 23.00, Digital Graffiti from the TRAKT took place directly in the courtyard of the gallery. Even during the unfavorable weather the spectators sprayed – painted – drew – wrote down the facade of the building. 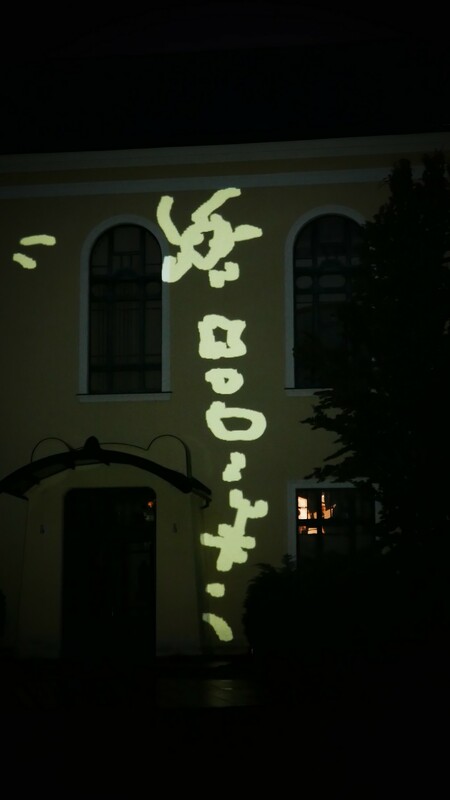 Several interesting temporary digital drawings have been created, thanks to the active children and adults.